Celebrity Century caters your fantasies. New renovations include 314 private verandas, fourteen Sky Suites and 174 Concierge Class staterooms with personalized stationary, upgraded bathroom amenities, fresh-cut flowers and even a pillow menu! Combine all of these upgrades with the amazing and personal service, the astounding décor and delicious cuisine, and you are in for the trip of a lifetime! Celebrity Century has so many choices, your head will spin! 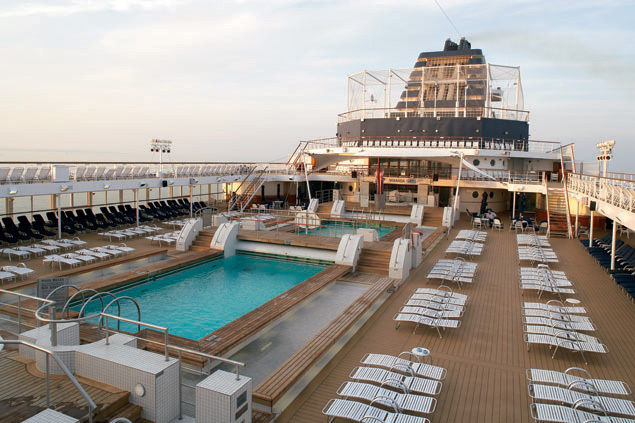 Get ready for some fun and relax poolside - or pamper yourself at the onboard AquaSpa. The remarkable spa treatments will take any stress off your mind and leave you blissfully relaxed. 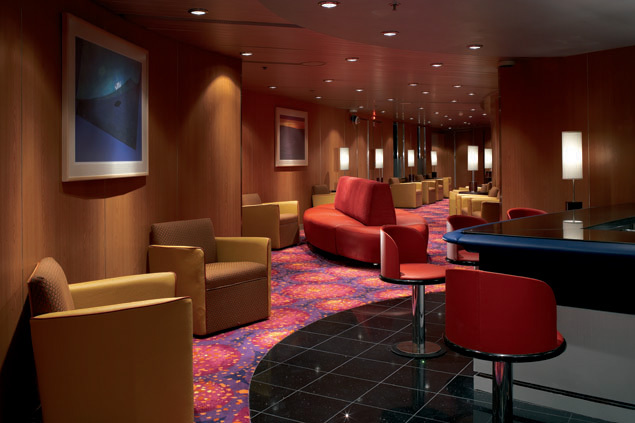 Wander around the ship and discover the huge lobby and the Boulevard with lots of great shopping. 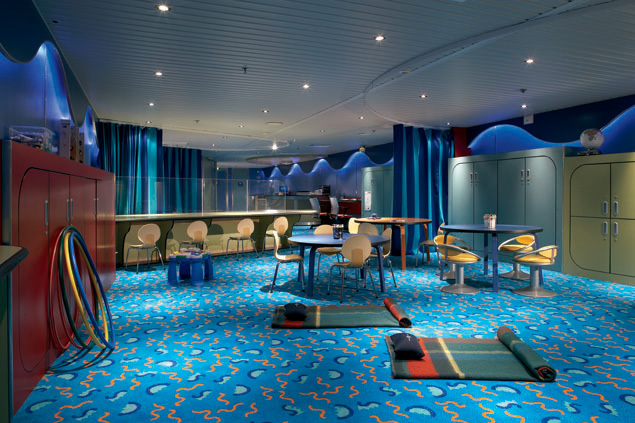 Get fit at the gym in the fitness center, or just relax and enjoy the view from the balcony in your stateroom. Don't forget - if you want to share some pictures from your trip, or just boast to your friends at home about what a good time you're having, you can stop by the Internet stations and send an email home – even from sea. 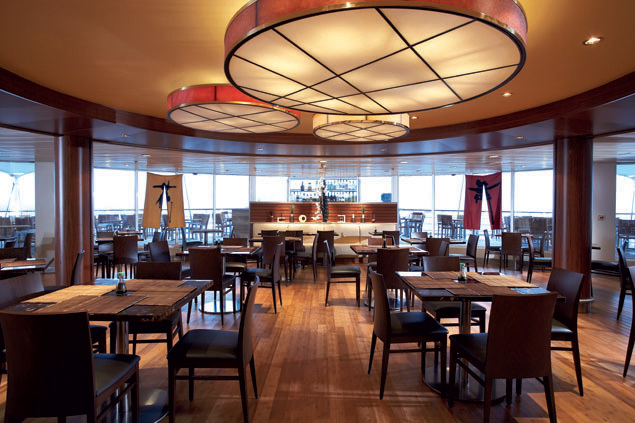 On Celebrity Century, fantastic food will bombard your taste buds. The main dining room, The Grand Restaurant, is two-stories and has floor-to-ceiling windows and tantalizing food. There is also the Murano Restaurant, with its glass chandeliers and impressive menu of gourmet food. Everything is prepared tableside and served to you. There are cafés that serve great coffee and treats, as well as 24-hour room service with your favorite foods from the dining menu. Once your busy day is winding down, get ready for an active night. Stop by the casino and try your luck at your favorite Vegas-style casino games. 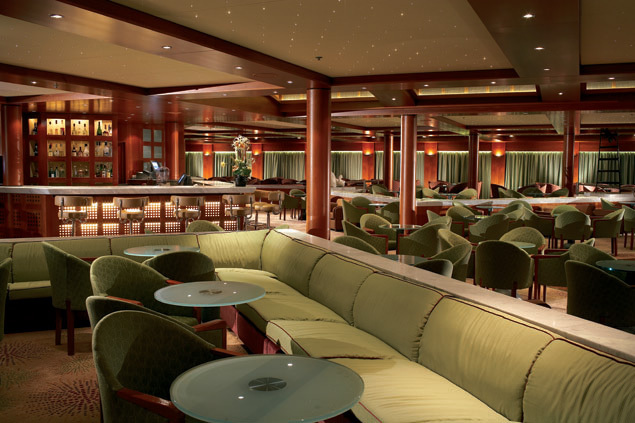 If you want something a little more relaxing, grab some of your friends and head over to one of the bars and lounges - enjoy a pleasant conversation over great cocktails. The ship offers amazing live performances - singing and dancing, as well as live music. Stop by Michael's Club and listen to the grand piano as you sip your favorite nightcap. 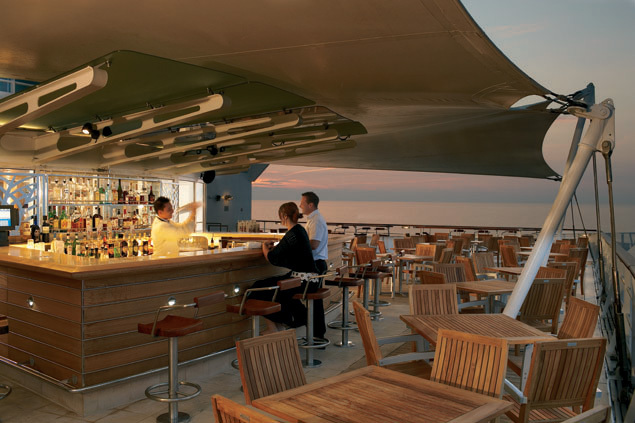 The Martini Bar, featuring 20 different types of martinis, is the perfect place to get started before heading to dance the night away at the onboard nightclub.